New Delhi: Cathay Pacific and the Hong Kong Committee for UNICEF (UNICEF HK) have been successfully implementing the Change for Good inflight fundraising programme since 1991, in which travellers on Cathay Pacific flights are encouraged to donate any spare change they have – in any currency – to UNICEF. The money collected is used to support UNICEF’s programmes, helping marginalised children and women in more than 150 developing countries around the world including India. 2016 marked the 25th Anniversary of this partnership which has raised more than HK$165 million since the programme was launched. In the same year, India was included as a key focus area to receive the proceeds from Change for Good in Hong Kong. The programme will contribute 30 percent of its annual donation in 2016 to UNICEF’s Schools for Asia initiative in India and China. Launched by UNICEF in 2012, the Schools for Asia initiative aims to transform the lives of children through education. It focuses on four programmatic areas: early childhood development, quality learning, equity and education in emergencies. 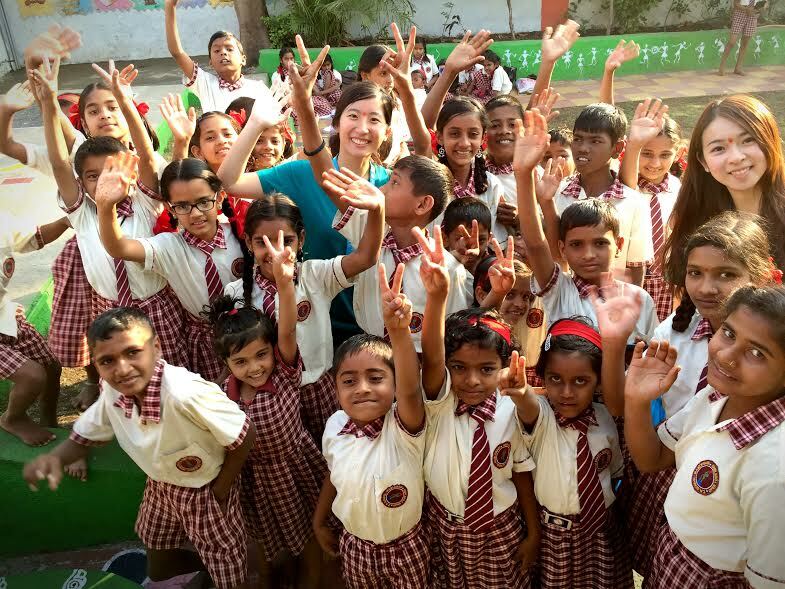 In February 2017 a team of 11 Cathay Pacific volunteers visited UNICEF’s project work in India. This is part of the annual field visits organized by UNICEF HK, to bring Cathay Pacific employees to witness first-hand, how the spare change they helped raise through Change for Good is used to give children the best start in life and improve their lives. The team gained a better understanding of the Schools for Asia programme in India. The initiative aims to catalyse and build upon the work that is being done around early childhood education by the government. Key features are, improved information management and monitoring systems for early childhood education programmes, and enhanced capacity of teachers to equip them with requisite skills and a safe learning environment which gives children access to quality and inclusive education. “At Cathay Pacific, we are keen to understand how the donation collected from our generous customers is being put to good use. This year our colleagues flew down to India from Hong Kong to visit the Early Childhood Development Centres, Sanitation Programme (WASH) in Villages, Primary Health Care Centres, National Cold Chain Resource Centre for storing vaccines, and the Child Protection Programme in Pune and Mumbai. They also interacted with various government departments and learned about the impact of UNICEF’s work on children and the community as a whole. It is an ongoing effort and we hope our passionate customers will continue to support UNICEF in raising vital funds”, said Cathay Pacific Regional Sales and Marketing Manager – South Asia, Rajesh Menon. Speaking about the programme roll-out in the field, Ms Rajeshwari Chandrasekar, Chief of UNICEF Field Office for Maharashtra, said, “The ‘WASH’ programme promotes access to water, sanitation and hygiene for students in schools. Combining it with the ‘Quality Education’ programme makes sure that children in Government –run pre-schools (Anganwadis) and primary schools have access to quality Early Childhood Education (ECE). A key facet of the programme is also to strengthen delivery of ECE in schools. Only then will children be equipped with the knowledge, skills and confidence to shape a better future for themselves, their communities and the world,” she added.